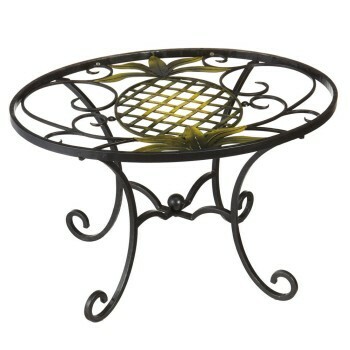 Glass top oval table with pineapple motif. It can be used indoors or outdoors. Made of iron and glass. Dimensions- 20.5 in. H x 28 in. W x 17.5 in T.